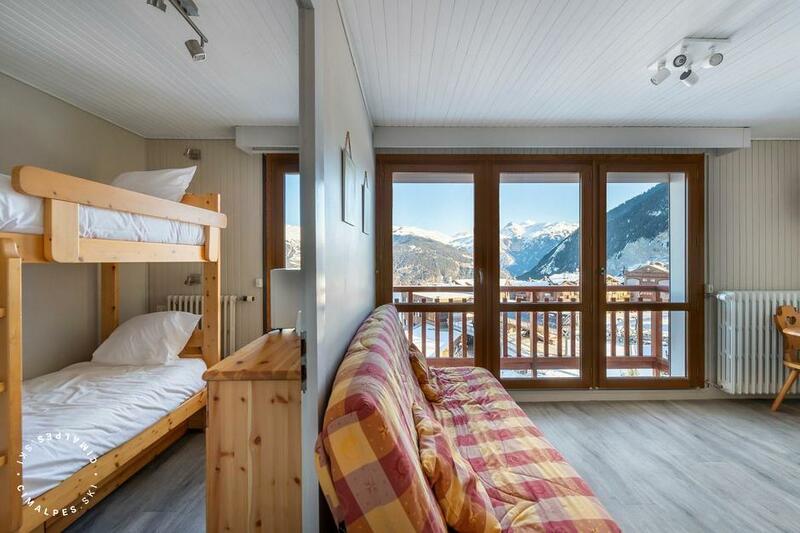 The apartment 'RE011E' is a cabin studio on the 11th floor of the residence 1650 in the centre of Courchevel Moriond. Access to the slopes is directly from the seventh floor of the résidence. The location is ideal: ski lifts, shops, bars, restaurants, tourist office and ski school are located just outside the residence. This apartment is the promise of great memories and moments of conviviality for its four occupants. This functional ski in ski out studio offers beautiful views of the mountains, the valley and the ski slopes. The apartment is located in the centre of Courchevel Moriond. A warm apartment ideally located at the foot of the slopes!